At Summers Lane in Finchley Opendoor Homes is building 12 new affordable homes for rent within a three storey flat block that faces Summers Lane. Of these, four will be one-bedroom flats and eight will be two-bedroom flats. 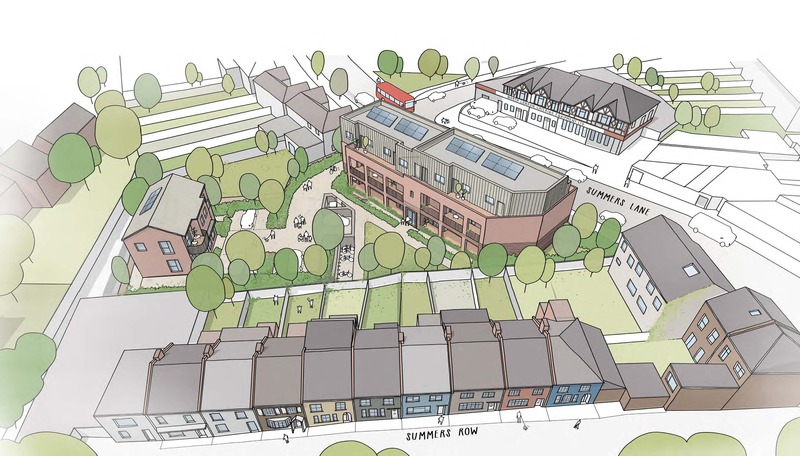 We will also be building two two-bedroom flats (one of which is wheelchair-accessible) in a second, two-storey block. At the site we will be planing new green spaces, opening views and providing nine parking spaces. The project is scheduled to start construction in Spring 2018 and finish in 2019.